by Donna R. Gore, M.A. The domino effect causes a sequence of reactions where a reactive product or by-product causes additional reactions to take place. It typically refers to a linked sequence of events where the time between successive events is relatively small. You want to convey the journey and the overall toll it has taken from many perspectives-emotionally, psychologically, physically, financially, your outlook on life currently and projecting into the future, your wishes regarding the disposition of the perpetrator, and changes to the system which negatively impacted and/or re-victimized you or alternately, your satisfaction with how you were treated. Expressing Fear for Your Personal Safety- This is one of your Constitutional rights…(Currently in 33 states and under the Federal Statute - Crime Victim’s Right’s Act enacted in October 2004: http://www.ojp.usdoj.gov/ovc/rights/legislation.html-***The right to be reasonably protected. Seeking Restitution- Restitution is payment by the offender to the victim to cover some or all of the costs associated with a crime. It is ordered by a judge and usually paid through the Court Support Services Division, or other entity within your state…To request restitution in a criminal court case, contact the State’s Attorney Office or the OVS victim services advocate, located in the court where the criminal case will be prosecuted. Victims or their family members may be eligible for survivor benefits, Medicare, and other social security benefits. For more information, please call the Social Security Administration (SSA) toll-free at 800-772-1213, TTD: 800-325-0778, or visit the Social Security Administration website. Available to employees through their employers, workers’ compensation provides wage replacement benefits and medical treatment for injuries that occurred in the workplace or on company property. For more information, call the Workers’ Compensation Commission (WCC) toll-free, in Connecticut only, 800-223-9675 or visit the Worker's Compensation Commission website. “Revenge” -Emotional Release Whether you call it “revenge” or “emotional release” or “venting,” there is some latitude given here…as opposed to the criminal court process in which a poker face must be maintained with no emotion allowed whatsoever or you will be banished from the court… It is normal to have emotion and to show your sorrow and anger…. Adding Information to the Criminal Proceeding - Parole/Pardons Board You may have relevant information pertaining to the defendant for the court or parole/pardons board which can influence the ultimate length or provisions of sentencing. It is important that this information be shared and part of the record. [Ladyjustice- As per Atty. M. Cruz, crime victims are not given the opportunity to provide a victim impact statement during civil trials because the attorney represents the interests of the victim directly in civil proceedings (and could argue for damages on their behalf )… WHEREAS in a criminal trial, prosecutors represent the interests of the State and not the victims directly]. What should the family do to prepare in those intervening years? What they should do and what they are able to do are two different matters…. Large proportions of victims put “it“ away in the corner of their minds and don’t want to think about it until and unless they have to... Those of us who are in "the business" of victim advocacy are different, as we have a different personal investment and reasons for staying involved. 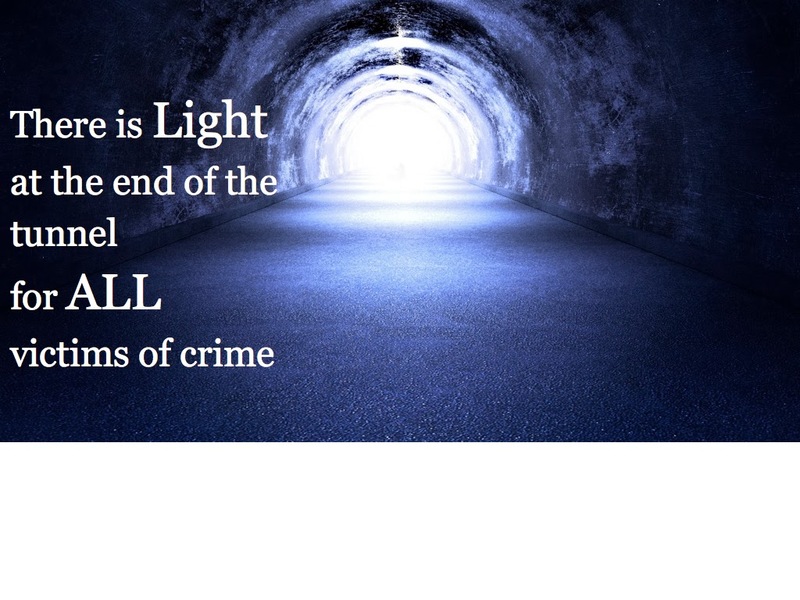 Those victims who chose not to stay engaged and seemingly “move on with their lives” until the boom drops…they get the call or letter and the dominoes begin to fall …. A likely scenario is that they suddenly panic…or are steadfast in their anger and resentment…. "Why should I change anything in my life when he is the criminal, not me?" This is a normal “self preservation type reaction…. They are fearful and angry of the impact for which they have no control They feel that they are not responsible to do anything…for they never asked for this to occur… Thisisalltrue… However, it is cliché… But ..life is what happens when we are busy making other plans. In fact, “someone “must deal with it…. Accept the possibility that you may have won the battle, but not the war…. Should I or Should I Not Attend a Sentencing or Hearing? How many times have we heard that one and then…. It turned out to be a significant event. Whether for expediency or laziness, victims need to decide if they should be there as part of their rights…and never be told “It’s not as big deal.” Information is power…. Your option is always to have your assigned victim advocate or your private attorney appear on your behalf and report directly what transpired. We could not conclude this discussion on crime and victim impact statements without paying homage to the person credited with giving the first official victim impact statement…. Doris Gwendolyn Tate (January 16, 1924 – July 10, 1992) was an advocate for the rights of crime victims. following the murder of her daughter, actress Sharon Tate. She worked to raise public awareness about the United States corrections system and was influential in the amendment of California laws relating to the victims of violent crime. Doris was born in Houston Texas, and mother of three daughters. In 1969, Sharon, was at the beginning of a film career, and married to film director Roman Polanski Eight months pregnant with their first child, Tate and four others were murdered at the Polanski’s' rented Beverly Hills home in a case that was sensationalized throughout the world. The killers were eventually identified as Charles “Tex “Watson, Susan Atkins and Patricia Krenwinkel, acting on behalf of the leader of their group, Charles Manson. All four were found guilty of the murders and sentenced to death, along with Lesley Van Houten, who had not participated in the murder of the Tate victims, but had participated in the murder of a Los Angeles couple the following night. The death sentences were overturned before they could be applied. when the State of California temporarily abolished the death penalty. For more than a decade after the murders, Doris Tate battled depression and unable to discuss her daughter's death. The Turning Point: In 1982, Doris was told that Leslie Van Houten had obtained 900 signatures supporting her quest to achieve parole. Tate mounted a public campaign against Van Houten, winning the support of the National Enquirer, which printed coupons for people to sign and send to Doris With more than 350,000 signatures, Tate demonstrated that a considerable number of people opposed Van Houten's parole, which was denied. She later became an active member of the Victim Offender Reconciliation and Justice for Homicide Victims groups. She founded COVER, the Coalition on Victim's Equal Rights, and served on the California State Advisory Committee on Correctional Services as a victims' representative. She was part of a group that worked toward the passage of Proposition 8, the Victim's Rights Bill, which was passed in 1982. It allowed the presentation of victim impact statements during the sentencing of violent attackers. Tate became the first Californian to make such a statement after the law was passed, when she spoke at the parole hearing of one of her daughter's killers. In 1984 she ran for the California State Assembly as an advocate for victim's rights. Though unsuccessful,, she continued to campaign for changes to existing laws, and was involved in the passage of Proposition 89, which allowed the governor of the state to overturn decisions made by the Board of Prison Terms. "What mercy, sir, did you show my daughter when she was begging for her life? What mercy did you show my daughter when she said, “Give me two weeks to have my baby and then you can kill me? When will Sharon come up for parole? Will these seven victims and possibly more walk out of their graves if you get paroled? You cannot be trusted”. She confronted Watson again at his 1990 parole hearing. Judges and juries care about what you have been through. It hasn’t always been that way. “I went to court for the sentencing of a defendant who had been convicted of homicide by intoxicated use of a vehicle. With me were the mom and dad of the young woman he killed. Donna R. Gore is a consultant and trainer with the Office of Victim Services within the US Department of Justice. She is the host of the internet radio show, Shattered Lives which broadcasts every Saturday at 5pm Eastern time on the Inside Lenz Network.